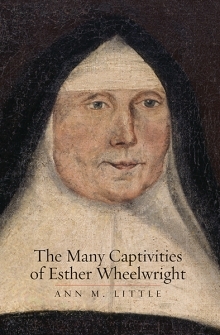 I thought I’d also check in today to let you know that I’ll be in Boston this Wednesday night, June 28, at the Massachusetts Historical Society to talk about my book, The Many Captivities of Esther Wheelwright (Yale University Press, 2016). 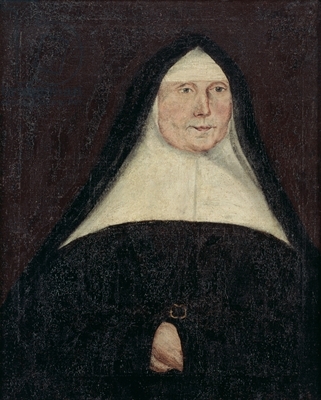 I’m really looking forward to my visit to the MHS again, because that’s where the portrait of Esther on the cover of the book now resides. The talk starts at 6, but come for the reception at 5:30 to say “hi” and have a drink–both the reception and the talk are free for members, and only $10 for non-members. You can register online here. I’ve got lots of beautiful, full-color slides of images that I could only reproduce in black and white in the book, so come for the wine, and stay for the polychromy. My appearance at the MHS will be my last book-related appearance until August, when I’ll be in Maine once again at the Historical Society of Ogunquit and Wells for an evening talk on Saturday, August 12 at 6 p.m. If you’re in the neighborhood, stop by! It’s right on the Old Post Road, otherwise known as Route 1. Maine is full of summer people in August, so whether you’re a real Mainer or “from away” like me, I’d love to see you and meet you there! I’ve also been invited to speak at a number of universities in the fall–Laurentian University, the University of Buffalo, and Lehigh University. I’m very much looking forward to my travels to the northeast again. Believe it or not, my summer 2017 workplace! Not yet, anyway. 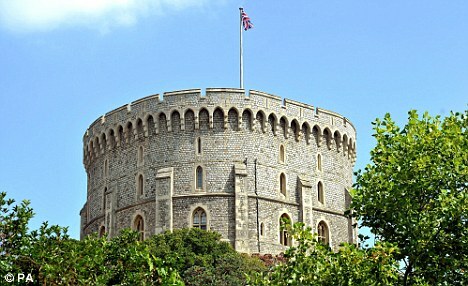 What most Americans wouldn’t give if we could exchange our Mad King for a doughty, distinguished queen! Have a great trip, um, tour, really! I’ll look forward to the summer blogging! The Round Tower looks delicious against the blue, Wimbledon-season summer sky! I really liked the piece over at Public Seminar! The DPRK is a fascinating mashup of High Stalinism and the Korean version of Confucian Kingship. Its going to be interesting to see how it changes. All expectations are for the regime to become more violent and doctrinaire as it manages what one Marxist wag has called, “the transition from Feudalism to Crony Capitalism.” Perhaps the Orange Julius will appoint Dennis Rodman to be ambassador when the relationship normalizes. Have a wonderful research trip to the UK and I hope you have a lot of fun at your talk tonight in Boston! How long are you going to be in Ogunquit? I’ll be in York around the same time. Happy London 4th of July, Historiann! (Too) many years ago, I led, and eventually, by an increasing margin, followed, my team down Marylebone High Street, and then Marylebone Lane, on a pub crawl of interesting dimension. This after we (very sensibly, I think), decided to scrub plans to float in small almost flat boats under the wire on the Regents Park Boating Lake, onto the grounds of Winfield House, the U.S. Ambassador’s residence, asserting our inalienable privilege of attending his big party for the toffs. So much for Nature and Nature’s God, I suppose, but we did have fun in a series of noisy places, filled with people who seemed to think that the World Cup “football” matches on the big screens were the big story in London. Elvis Costello at the Albert Hall the next evening rounded off a fine break in the action.